Seldom do student newspapers find themselves at the heart of a national news story. Things sure have been funkier in ‘Flec town this year. There’s been no shortage of controversy, even before the infamous stick up. Come hither, MRU. Let’s revel in the glorious newsiness of the last eight months. September started with news that you-know-who from Medicine Hat who was convicted of doing you-know-what to her parents had grown up and was enrolled at Mount Royal University. A witch hunt ensued, but other plans were made before the first pitchfork fell. Local news was way more fun. Who could forget the early hubbub about the $2.4-million facelift given mostly to the campus pub? Then came word the pub was projecting a $200,000 shortfall. Meanwhile, Mount Royal’s other grub dealer was also caught in a bit of brouhaha back in November. A former Sodexo employee claimed he was fired from the campus caterer for his role with Occupy Calgary. Turns out the guy was more talk than action — much like the movement itself. Of course, everyone’s favourite campus paper wasn’t spared from the spotlight. The plot played out like a Hollywood flick: university press pushes boundaries, a student group rails back, and then soul-searching leads to a deeper understanding from both parties. Well, kind of. A respectful relationship remains the goal. Perhaps you recall the story that stole the spotlight right after that. Everything was turned upside down on March 1 when news broke that former student president Meghan Melnyk had allegedly been involved in a bank robbery. Again, the jokes come easy. Meghan was obviously in a fairly messed up place as bank robberies typically aren’t hatched on the fly. We used to talk weekly, and I wish Meghan all the best in getting through this rough patch. Calls for more transparency really overshadowed the positive narrative in that situation. Leave it to a classy guy to put things in perspective. David Docherty’s follow-up guest editorial for the Calgary Herald really captured the spirit of Mount Royal University. It wasn’t the first time David’s been highly supportive. I’ve been told he visted The Reflector office one day and the entire office staff clammed up. It’s not everyday the university president comes by to chat. In fact, it’s never happened in the past 20 years. In the editorial, Docherty rightfully noted the SA executives kept their integrity under extreme pressure. 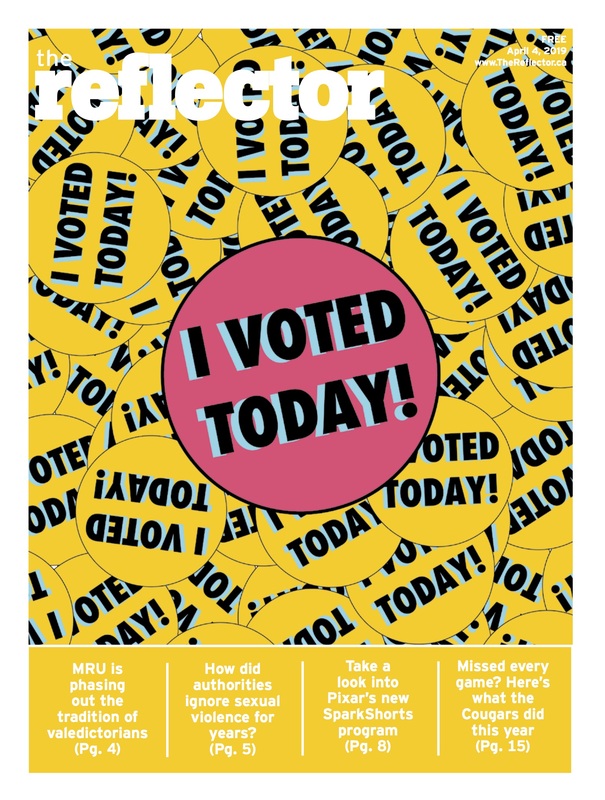 The Reflector’s relationship with the Students’ Association has been unmistakably rocky this year. The line between being critical and taking cheap shots was occasionally crossed. Don’t forget that a few barbs werew tossed back. It’s unlikely any past student executive has hammered The Reflector’s lackluster governance harder than the present VP external. Sure, it’s tough to please someone who cites Robert’s Rules Of Order as bed-side reading. Does that mean it’s OK to pass audited financial statements in the food court? Probably not, especially since the paper’s largely funded by student fees. We have tightened up the ol’ policy manual and are courting the university’s blessing to improve how annual general meetings are conducted. But, enough about frickin’ policy! It’s been one hell of a ride. This is my last column for The Reflector. Hopefully next year’s crew gets to feel a fraction of the craziness.